What is the best time to do the second trimester ultrasound? 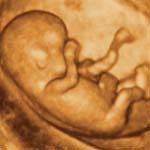 What can be detected at the second trimester ultrasound? 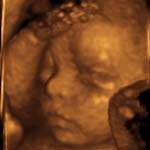 Will the ultrasound confirm that my baby is “normal”? 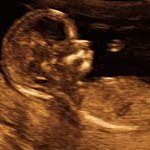 What will happen if something is found at my ultrasound? 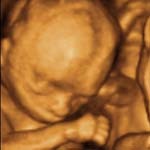 An ultrasound examination to assess the fetal anatomy is often recommended by your doctor. This ultrasound has become routine, and almost all women would have this ultrasound performed. This ultrasound is best performed at approximately 19 to 20 weeks of pregnancy. Although the examination has in the past been recommended at 18 weeks, the best views are obtained between 19 and 21 weeks. A full bladder is not required for the ultrasound, but some urine in the bladder is often helpful. 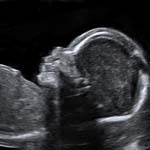 An ultrasound at this stage can determine a number of features about your pregnancy. Demonstrate that the fetus is alive with a normal heartbeat. Confirm the correct number of weeks of pregnancy by measuring the size of the fetus. This can confirm the due date. Identify the position of the placenta. Ensure there is a normal amount of amniotic fluid surrounding the baby. Assess the structure of the fetus, looking for fetal abnormalities. 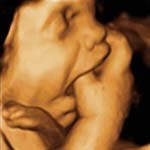 Unfortunately, not all fetal abnormalities can be detected by ultrasound. Ultrasound is quite good at detecting a range of structural abnormalities such as spina bifida, limb abnormalities and hydrocephalus (fluid on the brain). Unfortunately conditions such as cerebral palsy and autism cannot be detected before birth as these conditions are related to brain development, rather than structure. People often ask if the ultrasound will detect cystic fibrosis. Cystic Fibrosis is a common genetic abnormality. It occurs when both parents carry the gene for cystic fibrosis and each parent passes the gene on to their child. Your doctor can perform a simple mouth swab on you and your husband or partner to see if you both carry the cystic fibrosis gene. If you are both carriers then chorionic villous sampling or amniocentesis can be performed to see if your fetus has Cystic Fibrosis. Even if you both carry the Cystic Fibrosis gene there is only a ¼ chance of your baby having the disease. If a problem is detected at the ultrasound then you and your doctor will be informed. Occasionally, another ultrasound in a day or two is required to confirm the diagnosis. With some conditions further testing such as blood tests or an amniocentesis may be required. Many couples like to have a USB recording of their ultrasound. 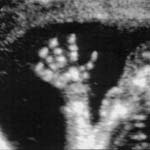 This is a representative sample of the ultrasound and may not be the entire examination. USBs are provided by the practice for a small fee.